Faculty/Staff who are interested in serving as learning partners can return the form below to Amber Zuber at zubera@lafayette.edu by October 1st. The Learning Partner can have as little or as much involvement with the group as he or she desires. The teams meet approximately 5-7 times prior to the trip. While attendance of Learning Partners at the meetings is not required, it will aid in trip preparation and group building. ASB is a student organization whose purpose is to coordinate service trips that take place over winter and spring breaks. All of our trips are alcohol and drug-free to provide an alternative to the stereotypical “spring break” and to ensure we provide the best service possible to the organizations with whom we serve. 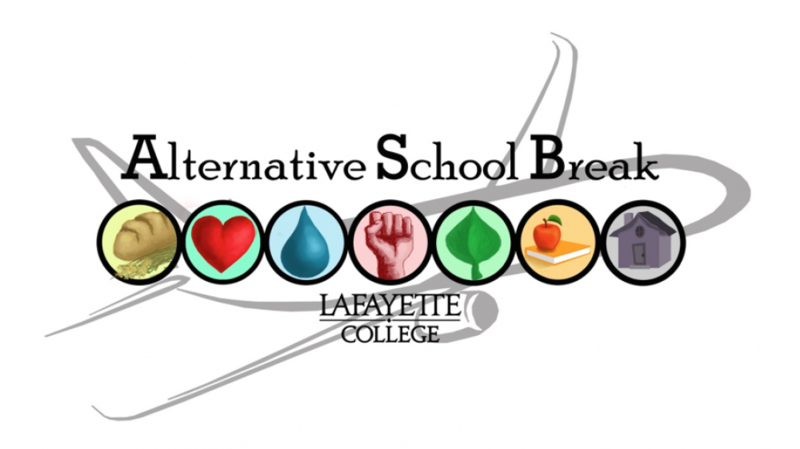 Our mission is to empower the Lafayette College community to create positive change and foster passion for civic engagement through alternative break experiences. If you are interested in becoming a learning partner, please contact me directly for more information about the process at zubera@lafayette.edu or at extension 5653. I look forward to the possibility of partnering with you to create meaningful learning experiences for our students. Please be aware that ASB operates on a limited budget which requires us to seek free and discounted housing and low-cost meal options. Our housing arrangements often require our participants to sleep on cots in group facilities with shared kitchen and bathroom space. In addition, we often purchase groceries and cook our own meals on a limited daily food budget. With that being said, part of the ASB experience is to step outside our comfort zones to enter into the difficult work of service. For many of the people with whom we are serving, the week-long ASB-like living arrangements are the reality of daily life.